Looking for a style idea that will give your kitchen more character but you don’t know what to do? Try mixing woods to create beautiful accents throughout the space. The key to this method is to find the right balance between natural wood and painted finishes. Doing so will give the room a more complex, rich look than you would expect from a kitchen where every feature matches throughout. By simply being a little less predictable in design you will have automatically added visual interest to the space. Using blocks of color is a simple way to bring variety into the room. Using a medium to dark stained natural wood for the oven hood and the top of your island while painting your cabinets white will make a beautiful statement and give the kitchen a custom look. 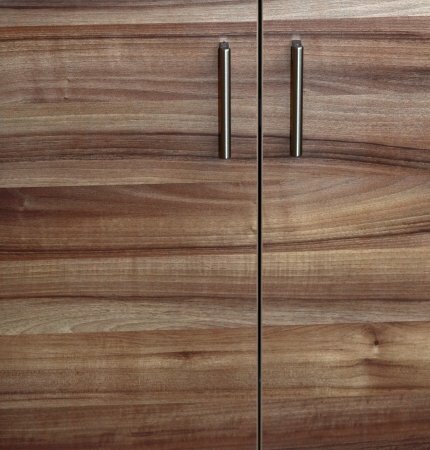 If you prefer to stick with natural wood only, keep the undertone of the types of wood you are using in mind. Woods have a base color that can be considered as a cool tone or a warm tone. Incorporating lighter stained pieces with darker ones will tie together better if you match warm tones with warm tones and cool tones with cool tones. Be sure you know which ones you are working with before purchasing materials. If you will have wood flooring in the kitchen, be sure to use a contrasting color for your lower cabinets to prevent the two areas from blending into one another. This can make the room look drab and you will lose out on the opportunity to add some personality to the room. Speaking of cabinetry, don’t be afraid to mix it up with your lower and upper units. Having a natural look up top while painting the lower cabinets is a great idea that will add dimension to the room. Doing a mixture up top and below is also an easy way to make things more exciting. Be careful with spacing out the differing finishes to achieve proper balance. Lastly, use any natural separations in the room to implement a change in wood. It will break things up nicely while also maintaining the harmony of your design. Do You Know Your Floors? 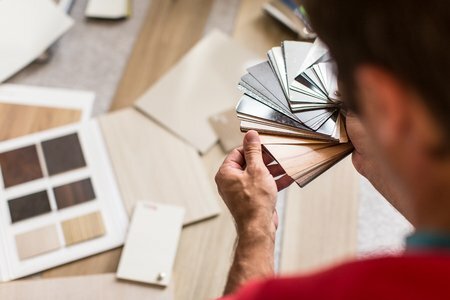 If you’re in the early stages of remodeling your home, you have many design options to choose from. While working with a blank canvas allows you to have endless options it can be extremely overwhelming. That’s why we put together a basic guide on selecting home flooring to make the process much easier. We suggest you use this guideline to narrow down your most favorite flooring options and visit us to further explore those options. Here are the first few to start! Carpet is perhaps one of the most popular flooring options. It allows you to easily add style and comfort in your home. Carpet can be purchased in both natural and synthetic fibers. In addition, it is also available in nylon, wool, polyester and a variety of other materials. There are several different colors and thousands of patterns on the market today. If you appreciate versatility, carpet may be the option for you. Ceramic tile is made from clay and other inorganic products. It’s best known for its durability. In fact, ceramic tilework has lasted for centuries. This type of flooring is best for kitchens and bathrooms due to the ease of maintenance. When purchasing ceramic tile for your floors be sure to consider the rating. Usually, ceramic tile is rated on a scale of zero to five based on its hardness. A rating of three is suitable for residential properties. Hardwood is a material that is often used for flooring. Hardwood floors are manufactured from a wide range of wood types. This type of flooring is available in an array of hardwood species, stain colors, and finish types. Hardwood adds warmth and character to any room and is quite easy to maintain. LVT, or Luxury Vinyl Tile flooring is a great option for areas of the home that receive a lot of traffic due to its durability. LVT is made from synthetic materials, is very simple to maintain, and is easier on the joints than harder flooring materials. There are vinyl variations on the market that can simulate the look of natural hardwood, stone, and tile. Stone flooring never goes out of style. In fact, it gives off a feeling of timeless elegance. One of the best features of stone floors is that it is long lasting. Natural stone comes to you straight from the earth, therefore, there are all kinds of wild color variations. If you select natural stone flooring you should order enough materials in one shipment so as to avoid mismatched lots.